Walk south from Lauterbrunnen further into the valley towards Stechelberg. 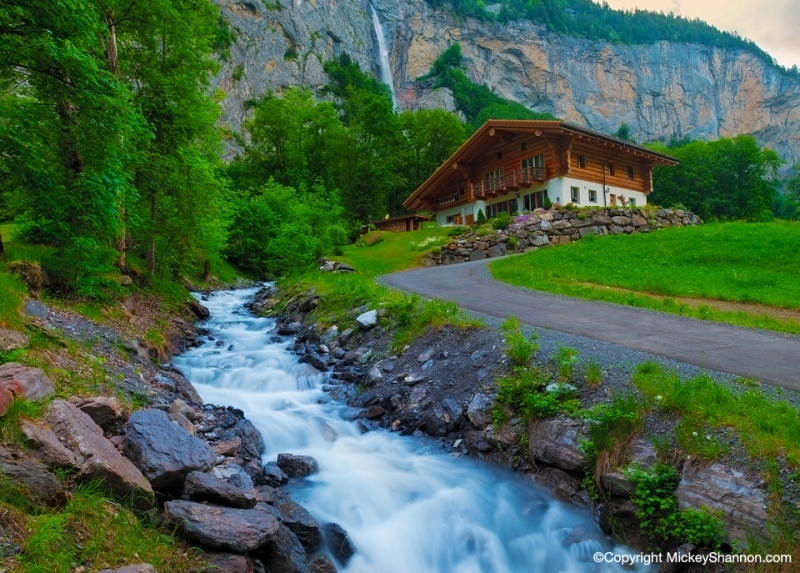 This has gotta be the luckiest house in Lauterbrunnen. Stabbauch falls cascades down off the cliffs above and form the stream pictured here.